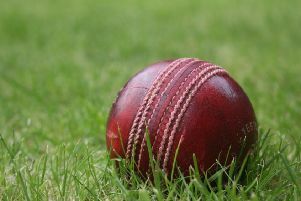 Belvoir CC fought another resolute rearguard to save a losing draw at Cavaliers and Carrington on Saturday. Sheryhar Aslam’s batting shaped the Cavaliers’ innings, plundering 82 off 63 balls from a persevering Belvoir attack. Phil Irvine (2 for 45) knocked over the openers, but Aslam and Saqlain Bazmi (69) took the score to almost 150 before the tireless Olly Elson had the latter well caught by wicketkeeper Ryan Lewis. Elson then took a second, courtesy of Lewis Dann’s breathtaking one-handed catch, running backwards at deep mid-on. But captain Muhammed Yasar (55 not out) and a cameo from Muhammed Faisal (22) saw the hosts set 306-7. Faced with a formidable six-per-over rate, everyone made a contribution, but as each wicket fell the target receded a little. Even a frenetic third-wicket stand of 53 in 57 balls by Dann (63) and Tom Neville (30) was unable to break Aslam’s stranglehold as his first 11 overs went for just 20 runs. Neville was finally beaten by a long hop, but Dann carried on scampering singles and belting bad balls to the boundary while wickets fell at the other end as the asking rate climbed, and with 14 overs left, 126 runs were required. Ryan Lewis (38) and Elson (42) kept the effort going with a run-a-ball 63 for the seventh wicket. Joe Bottomley and Elson also batted with aggression before Bottomley was well run out and Elson bowled by Muhammed Faisal (3 for 52). But Belvoir’s last pair held out for two extra, valuable points.